WE ARE PROUD TO PRESENT OUR LATEST JANUARY 2017 CLIENT ADDITIONS TO THE GLOBAL LUCANET FAMILY. We are proud to present our latest client additions to the global LucaNet family. Happy New Year to all of customers, suppliers, employees and partners. Wishing you all a very prosperous year ahead. LucaNet (ASEAN) is led by Sanjay Sivanandan, a global Singaporean, who is highly experienced in running and profitably growing business both globally and in Asia. He understands the need for new innovative transformative technology to address the opportunities and challenges that companies and corporations are facing in the area of Financial Corporate Performance Management. Sanjay combines industry knowledge and insight with the necessary sensitivity for cultural differences and intricacies between Asian and European thinking. He is regarded as an expert for both large multinational enterprises and medium sized companies in all major industry sectors. For Sanjay, the LucaNet solutions are truly unique in the market: “LucaNet is a real software technology innovator and European leader in the field of Financial Corporate Performance Management (FCPM) solutions. Its core strength lies in its capability to consolidate and integrate financial information, P&L and cash flow in a real-time and transparent manner for all types and sizes of client business. We are able to implement our intelligent, yet simple ‘out-of-the-box’ solution that augments and enhances existing systems and processes already in place at our clients operations without disruption. Since 1999, the LucaNet group has stood for the highest level of business intelligence expertise in the field of accounting. Its software solutions for consolidation, planning, reporting and analysis are distributed worldwide through its own sites and a global network of partners. The enterprise’s headquarters are in Berlin. More than 1,500 customers of varying size from many different sectors benefit from LucaNet’s flexible, high-performance software modules and in-depth specialist consultancy. In a time of unprecedented dynamism and uncertainty, 72 per cent of chief executive officers believe that the next three years will be more critical to business than the previous 50. With the current geopolitical uncertainty and ongoing digital disruption, the role of the CEO is inevitably changing, with the future of companies hinging firmly upon the capacity to adapt. Addressing the main concerns and intrigues of a global C-suite audience, this report will provide the seminal guide for successful leadership and strategy in a time of increasing complexity. The report will explore the development of the role, and the requisite skills and qualities for an efficient future CEO. 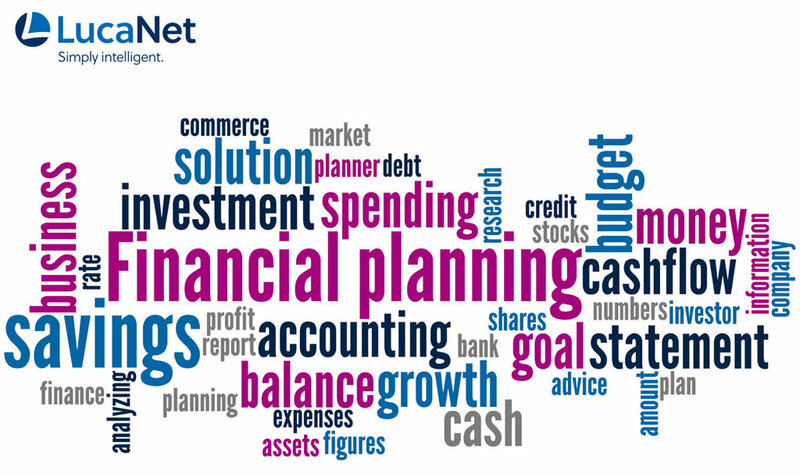 In the second of three blogs, Gavin Allen (Managing Director LucaNet UK & Ireland), discusses whether there is a difference between financial planning and operational planning, it's data, complexity and processes. Financial versus Operational Planning - Are they the same? In my mind there is a very clear distinction in my pointers above, between what is described as Financial Planning and Operational Planning. Referring to the basic art of Financial Planning, leveraging actual data portrayed in the chart of accounts, and performing initial forward looking information. Take each line of the chart of accounts – the profit and loss is the place to start this, and decide on double entry accounting rules that should be adopted to plan each of these profit and loss line items. For example, take the sales line of your profit and loss, project forward based on historical and/or statistical trends to derive a forward looking data set. However, the real importance of such financial planning, is to ensure that these rules (for each line of your profit and loss), are integrated to your balance sheet and then cash flow! In this example of sales, consider the balance sheet and cash flow impacts. Do we account for all of the sales as cash in the month of invoice? Perhaps not, so profile the outturn, hence modelling your debtors and cash flow all at the same time; not to mention being able to model your VAT as you go! Conversely that same methods apply to expense items, and the impacts on creditors and cash. Yes, I understand that if you could do this by each and every customer and each and every supplier you should gain accuracy, but at what cost? And does it actually give you that much greater accuracy when seeking an initial integrated strategic plan? Imagine the CFO presentation for his forecast cash flow – the slide (or several) that show how the mass of detail for each customer and supplier has derived the results being seen – OR, surely coming from a CFO that presentation is far better stating “for 80% of our revenue assume 60% are collected 1 month after invoices and the remainder in month two” – more strategic but financially intelligent none the less? In an earlier blog post, we refer to the importance of capturing your actual transactional data, in a simple, efficient and easy to understand manner. Click to read more, and what we had to say on this topic, which very much aligns with establishing a trusted platform of information, prior on embarking on a journey of planning. Simple really, and back to basic accounting – debits and credits. I have seen countless complex financial planning models, that forget that despite the fact you are forecasting, budgeting or planning, the principles of double entry accounting have been forgotten or ignored? Conducted between June and July 2013, research findings fromLoudhouse Research, clearly demonstrated that despite the importance of data, only 17% of companies are truly data driven. By looking at an initial financial plan in this way, every line of your profit and loss will be modelled based on historical records of information (which of course can be adjusted as required to incorporate strategic changes), and all linked into the balance sheet and yes the cash flow! At no time in this initial brief have we considered the need for super complex multi-dimensional models involving several hundred personnel (more on this later), with drivers here there and everywhere. Surely this is a better starting point for the forward looking forecasting process – it’s intelligent rule based Financial Planning – providing the ability to easily, simply and more importantly quickly capitalise and react to changes in actual information, providing a clear rule based insight into the health of the organisation and it’s all important cash position. Consider the “stitching” process of the actual and forecast data? Not an issue really with the profit and loss, but for the balance sheet it is often forgotten that when moving to rolling forecasts, as actual balance sheet closing information becomes available, this will invariably be different to what was forecast. Financial planning should cater for this, and allow for the transition or “unwinding” of the balances? Calculations of interest on bank loans and financing, depreciation flows on future capital investments, eliminations of future inter-company trading. Can you see the focus and importance here – financial planning – a wider brief than operational planning, with what one could describe as more significant impacts if not done correctly? The often forgotten art of the Financial Plan? I am sure by now you are thinking that it’s time to discuss the many modern practices of driver based planning, and yes multi-dimensional planning by every which way under the sun! But before we do, let’s wrap up the financial planning discussion here. It does not require an army of people to construct, provides a really rapid way of collating a high level strategic forecast or plan, and most importantly allows several iterations and versions of the high level plan to be developed (say goodbye to having to create separate budgets and forecasts, with both being “snapshot” of say the current rolling 36-month forecast?). Providing a catalyst for investment decisions, and the strategic direction of the organisation, that is based on accounting rules / logic, fully auditable and easy to change, prior to the involvement of more operational personnel in the business. Read that back and ask yourself – this is what most CEO’s and CFO’s require, and let’s face it have always required since the dawn of time! Look out for our next blog article in this series in which we will discuss whether business organisations are actually ready for true multi-dimensinal driver based planning. In the mean time you might like to review or recent article where LucaNet has been subject to an independent research study. What Is Business Financial Planning? In the first of three blogs, Gavin Allen (Managing Director LucaNet UK & Ireland), discusses the topic of business financial planning, what it means, it's relevance, and just where should you start? So just what is business financial planning? What does it involve, who does it involve and where do you start? It’s a common question that I get asked all the time within the finance community, and it’s often a misunderstood business process. Sure, we all know that a successful organisation will prepare annual budgets, and if possible forecasts, and for the very brave rolling forecasts! In addition, such financial information is also complimented by non-financial information used for both drivers and indicators of forecast performance. However, I do not think it is that simple to merely categorise the process of planning, budgeting and forecasting into these areas. I believe it goes further than this, especially with the constant evolution and march of technology in the financial performance management domain. Well, let’s be absolutely clear, since the dawn of time, organisations of all sizes and across all business sectors have always wanted to look into their crystal ball, and look forward beyond the actual financial results, so nothing new here. However, I believe where organisations need to start, is by considering the levels of detail that are actually required for their business plans, and does that extra level of detail actually provide greater accuracy, especially when considering a strategic financial plan? For example, does planning by widget, by customer provide a quick route to a business financial cash flow plan, especially when it’s the CFO asking the question? It is high time we look back to basics. Sure with the right technology we can now plan and model at inordinate levels of detail, and involve thousands of personnel in the process, but should we really be starting here? The Office of Finance operates on a day to day transactional basis, recording transactions pertaining to either income or expense, that then flow through to the financial statements depicting the welfare of that organisation (i.e. the balance sheet). Organisations invest countless hours in the development of their transactional recording systems – the general ledger – with a codified logic for recording of those transactions – the chart of accounts. In essence the fundamentals of accounting, being Debits and Credits. Click Here, to read more about my views and thoughts on technology and it's impact on the Office of Finance, when I presented at Accountex in May 2016, sponsored by CIMA, and interviewed by Tom Herbert, Business Editor of Accountweb.com. I have also made the slide deck available as a slide share here. Surely with such an investment in capturing the transactional levels of detail in the general ledger, against a coded and defined structure, this must be the place to start looking into the future? Yes, I hear you cry, but we need to plan and model our sales, by customer, by geography, by widget etc., but that should not be the place to start given we have such comprehensive information at our disposal with the actual records of information, albeit summarised into a chart of accounts? Conducted between June and July 2013, research findings fromLoudhouse Research, clearly demonstrated the challenges; and they remain today, despite the advances in technology. Assuming of course that you have clean data to start with, then thats great. I have previously highlighted the importance of good quality data in my previous blog article Financial Performance Management and Data. So here is my point. Why don’t we capitalise on the information we have already from the actual transactional records (the general ledger or general ledgers if you have more than one), and start the process of forward looking financial information from this basis? It seems to make perfect sense really, but I hear too often in today’s organisations that they must have forward looking financial information, with copious amounts of detail for everything, produced by an army of personnel. Only to then be compared back to an initial strategic plan initially put together based on – guess what – the current financial statements, and the chart of accounts from which they were based! In the brief highlights video below, see LucaNet in action leveraging the actual reference data, to construct and delivery "out of the box" plans and forecasts with accounting rules and logic that hark back to the principles of Debits and Credits. Simply plan with the awesome power of LucaNet. Remove the need to use spreadsheets for your Financial Planning, and streamline the production of your Cash Flow from underlying Profit and Loss and Balance Sheet information. Look out for the next blog article, in which I will go on to discuss the real meaning of planning, and the differences between Financial and Operational Planning. In the meantime you might also be interested in a previous article highlighting the Top Financial Concerns of Financial Controllers. You actual historic data is a vital component of Financial Performance Management. The importance of being able to connect, extract, transform and then load data is often a component of financial performance management that is overlooked. LucaNet has brought this to the forefront of what we do, by having dedicated connectors and components to simply manage this initial process seamlessly. Couple again with a dedicated components for remote data form gathering, and exposing our in memory multi-dimensional model to any business intelligence solution, LucaNet provides the complete vision for financial performance management, from data through to analysis. The most difficult and time consuming part of introducing software is often its integration with the existing infrastructure, in particular, the connection to source systems. Often the most difficult – and therefore most time-consuming part of introducing new software is often its integration with the existing infrastructure, in particular, the connection with source systems. This is not the case with us: We have developed a tool for you which can be used immediately. On the one hand, it automatically transfers data from various operating systems neatly into our database and on the other hand, it enables you to write enter data in relational and multidimensional databases equally easily. The ability to capture underlying actual financial and non-financial records quickly, efficiently and robustly should be the foundations of any financial performance management solutions. Without verified and auditable reference data, then the main stream components of consolidation, planning, reporting and analysis become almost irrelevant. Therefore by having an array of pre-built, proven data connectors, means solutions can be up and running very quickly, with the baseline information ready to go, verified and audited before the main activities of financial performance management itself. With LucaNet, we bring this initial stage of data loading and importing, as well as remote template data capture, into the office of finance, ensuring that full data lineage and transparency is present. Through a few simple clicks of the mouse, users can understand the nature and sources of the data they see in the reports, and in turn allow them to forecast and plan more accurately etc. Traditionally the process of data extracting, transforming and loading has been hidden “behind the scenes” from finance. 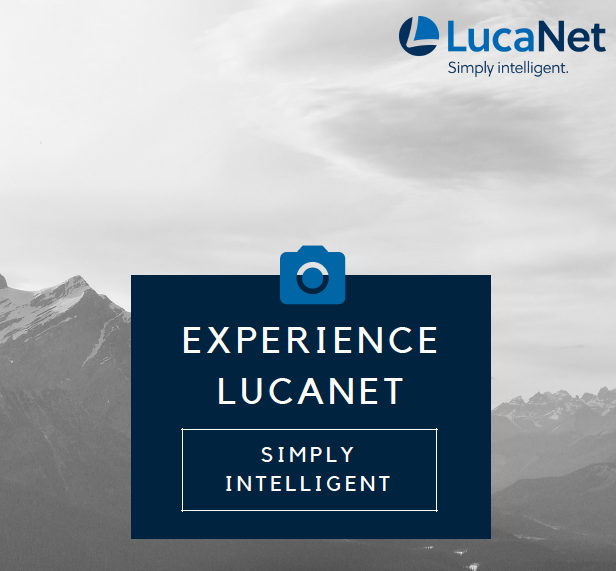 Like all of the components of LucaNet, our brand values flow throughout; simply reliable, simply connective, simply flexible, simply transparent and simply integrated. Join us at our Open House event in Epsom on 15th November 2016, and invite you to bring your trial balance data, and see how quickly we can breathe life into your financials. Great case study and reference, from our UK Premier Partner Hayne. This is a crucial decision for SC Group. The rapid proof-of-concept and the enthusiasm and commitment of HAYNE Solutions and LucaNet UK convinced us that the product and support offered, was the right choice for the business. Their UK references also confirmed that we could own the build and ongoing maintenance of the application rather than continuing to rely on external consultancy. This helped to underpin the rationale that the product is robust and intuitive to use. German market for business intelligence and business analytics continues to grow – LucaNet reaches 2nd place among enterprises based in Germany. LucaNet AG, provider of software and consulting services for business intelligence in the field of accounting, has been ranked the seventh-biggest software manufacturer for business intelligence and business analytics solutions in the latest Lünendonk study, entitled "The market for business intelligence and business analytics in Germany". Secure your seats at the many webinars, or events coming your way in October and November 2016. Click above image to download interactive PDF, or register on line at https://lnkd.in/ePjRzNx or https://lnkd.in/e_rQHfF today! 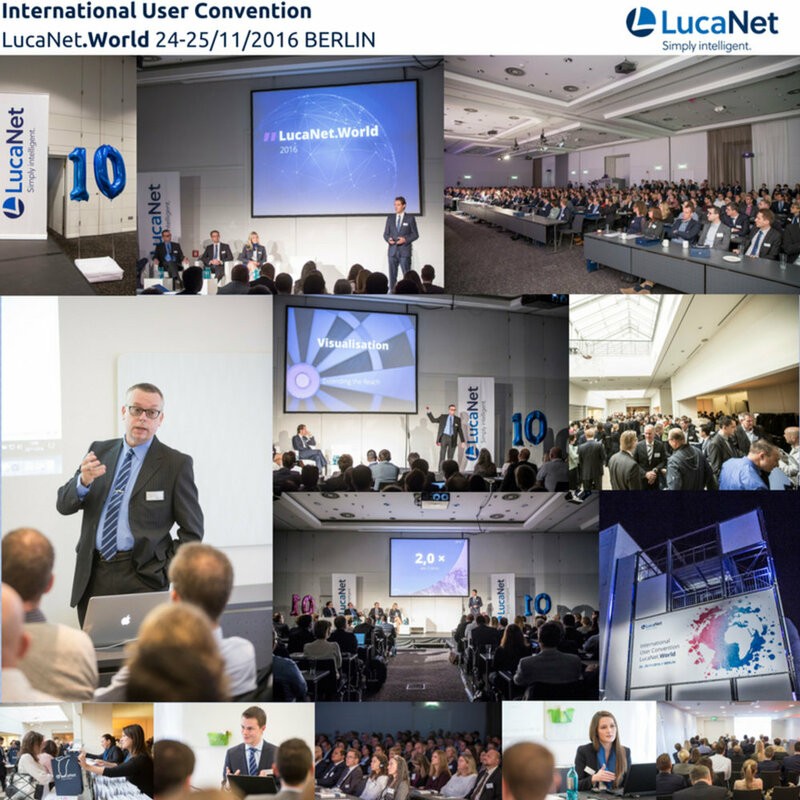 The LucaNet partner community grows from strength to strength. Hear what some of the partners have to say about their partnership with LucaNet! Here at LucaNet we are proud of what our partners achieve (and thank you for the kind words during this video), and look forward to a long a successful partnership. Go Team LucaNet! A recent report published on CFO.com highlighted that amongst the top issues of focus for Financial Controllers and Financial Managers, was cash forecasting. This unsurprisingly represented one of the highest-ranked priorities in many companies. Knowing your cash position - with confidence - is vital in the turbulent financial landscape we find ourselves in post-Brexit. Back in early May, I was given the opportunity to speak at Accountex 2016 and interviewed just prior to the presentation by Tom Herbert, Business Editor of AccountingWEB.com. My presentation had been on a subject I am passionate about - how technology is helping the Office of Finance deliver key insights for their business. However, it came with a warning - the wrong technology can directly lead to a lack of focus on the core accounting values for many Finance Departments. I've seen this happen many times during my career, and it's always avoidable. As financial professionals, we all require the same thing - accuracy of reporting and more specifically accurate forecasting of cash. It starts with data collection and relies on your chosen software delivering fast, accurate results, driven by sound accounting principles. Knowing your cash forecast now, with confidence in the figures is as important now as it ever was - and it will be even more so post Brexit. How we put in place the necessary reporting structure to deliver this depends on many considerations, not all of which or technological, which I have outlined in my presentation from Accountex. An example of the use of the wrong technology is the inappropriate use of spreadsheets for everything in the Finance Department. Make no mistake though, spreadsheets are a great productivity tool, but they carry inherent risks for reporting and forecasting. See the Top 7 Spreadsheet Errors here, and an especially interesting infographic here, for a little more insight. Can you trust such a technological approach for your cash projections? New LucaNet (UK) Limited website goes live. We are proud to launch our new LucaNet UK website, which presents a fresh approach, clean navigation and easily obtainable content throughout. Our aims are to provide content that is manageable, relevant, easy to navigate and most importantly responsive to mobile technology. Today, SC Group have signed a software and consultancy order with our premier partner Hayne, for the implementation of a management reporting and project planning solution. Building on our firm foundation and three decades of engineering design success, we have grown to be one of the world’s leading companies specialising in the design and development of equipment operating in harsh environments. We have a passionate and committed team with the skills, expertise, dedication and focus to provide the highest value to our customers with bespoke quality products and services. In September 2015, having successfully outgrown our original brand, the company was split between Supacat and SC Innovation under the SC Group umbrella. This exciting formation allows us to grow and develop our joint capabilities while bringing innovative solutions to our customers. Blackhill Engineering and Proteum (created by SC Group to focus on the Marine sector) also became part of the Group. The company was established in 1981, and has been developing specialist vehicles and other equipment for both civil and military customers ever since. Our range of off-road wheeled and tracked vehicles has continued to expand as new requirements for high-mobility cross-country vehicle designs make ever greater demands on the company’s Engineering team. With offices in Devon, England and Victoria, Australia we are certified to ISO 9001:2008 and deliver all the disciplines of vehicle design, including engineering, testing, prototype manufacture, certification, low-rate production, and fleet support. The company is well known for its skill in developing solutions to unusual customer requirements, and during the late 1990s designed and developed the High Mobility Transporter (HMT) to meet the needs of primarily military customers for a light‑to‑medium load carrier. It now manufactures this product under license from Lockheed Martin. On 18th and 19th May 2016, we brought together for the first time, our current (and potential) LucaNet UK business parters, for a packed two agenda, at the home of British motorsport, Silverstone. Agenda and conference details here. Prior to Gavin Allen, Managing Director LucaNet UK & Ireland presenting at this year's Accountex 2016, he was interviewed by Tom Herbert, Business Editor at AccountingWeb.com. "The key message from Gavin Allen, UK MD of financial consultants LucaNet, at this year's Accountex is that despite the rapid evolution of technology the world of the accountant hasn't really changed a great deal."